Prufrock and Other Observations is a short collection of poems written by American poet T.S. Eliot. I read this book with a triple motivation: it’s obligated for a course, it’s on my Classics Club reading challenge, and I would like to get a bit more into poetry. I’m basically oblivious towards poetry. For some reason schools pay tons of attention to prose, yet only glance towards poetry. In the library I work at, they put poetry in the information section, instead of with the fiction books. They barely get read this way, which makes me a bit sad. My experiences with poetry have been limited to some children’s poems, a handful of Classical ones in Latin class, and recently the sonnets by Petrarca and Chaucer’s epic Canterbury Tales. Prufrock and Other Observations are more of that I would expect from “poems”. This particular collection is super-duper short (especially comparing to the magnum opus that Petrarca created) and can easily be read in half an hour. 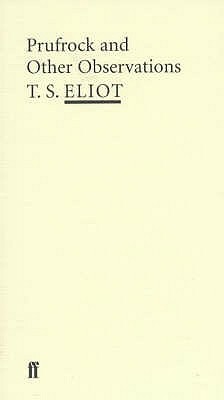 I found these poems by Eliot quite accessible for the inexperienced reader. There are multiple layers, which helps holding the attention of both frequent and infrequent poetry readers. There were only one or two where I felt the point went completely over my head. 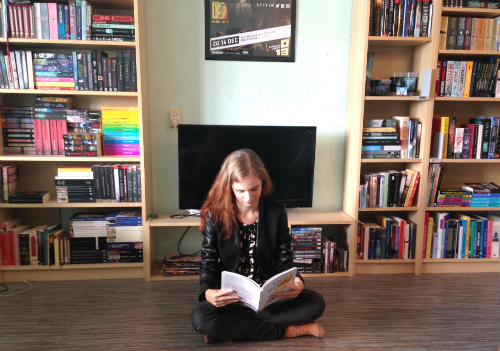 The poems deal with different themes, including a feel of being oppressed and loneliness. Especially the poem Portrait of a Lady I enjoyed, as it reminds me of the book I’m reading right now, The Age of Innocence by Edith Wharton. As a novel reader through and through, I read this collection from the first page to the last in one sitting. That’s not really what they are meant for though, and I think in the course of the upcoming year I’ll pick it up again to read a poem here and there to really get into it.